You know the ones I'm talking about! The guests who show up unexpectedly without first calling ahead. 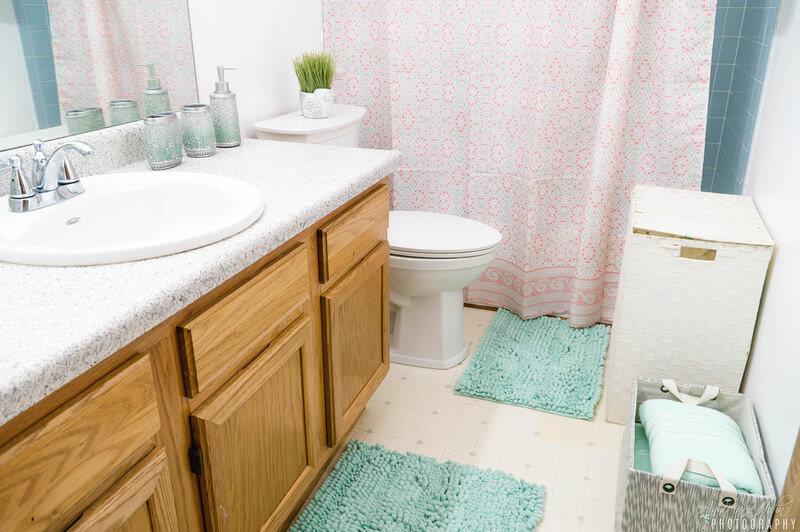 How do you ensure that your bathroom is ready and your toilet is clean? By having the ActiClean Self Cleaning Toilet by American Standard and a few extras. This post is written in collaboration with American Standard, however, all opinions are mine alone. It's happened a time or two, guests pop into town for a few days and before you know it, they've invited themselves over to my home. While I never turn down family or friends, after all my pantry is almost always stocked with food, the bathroom is entirely another story. Having a clean guest bathroom is paramount in my household. The kids know that the guest bathroom is just that, for our guests, conveniently located on the ground floor and easily accessible to everyone. That means that it has to be kept clean at all times. Whenever there are guests in town, whether they're expected or not, there are a few things that I keep on hand, and another I suggest you not live without. That is the American Standard ActiClean Self Cleaning Toilet which I'll be sharing with you shortly. So what is kept on hand and how do you prepare? It may surprise you, but the item most often left behind is usually a toothbrush. Personally, I've forgotten my toothbrush at home more often than not. 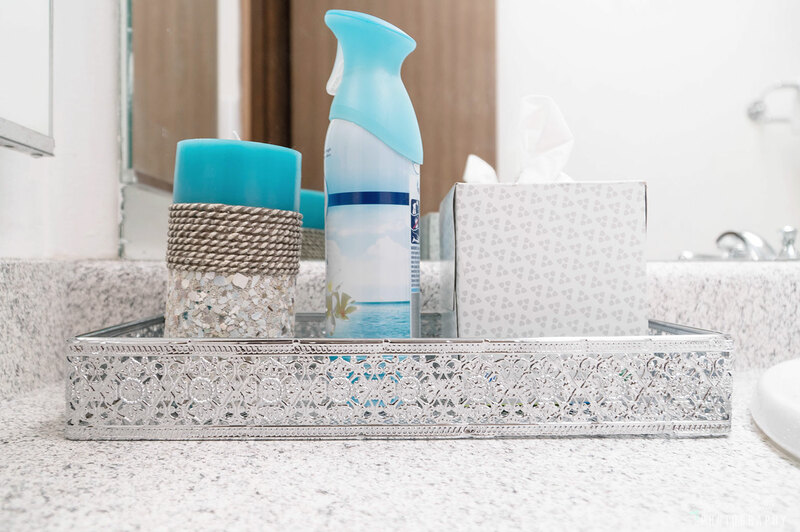 Make sure that you have extra supplies in your bathroom for the guests who may have forgotten little essentials, such as toothpaste, toothbrush, lotion, razors, feminine products, shampoo & conditioner, body wash, and even cotton swabs. These little touches will make your guests feel more at home. Don't let your guest wonder what to do with their dirty towels or even laundry. 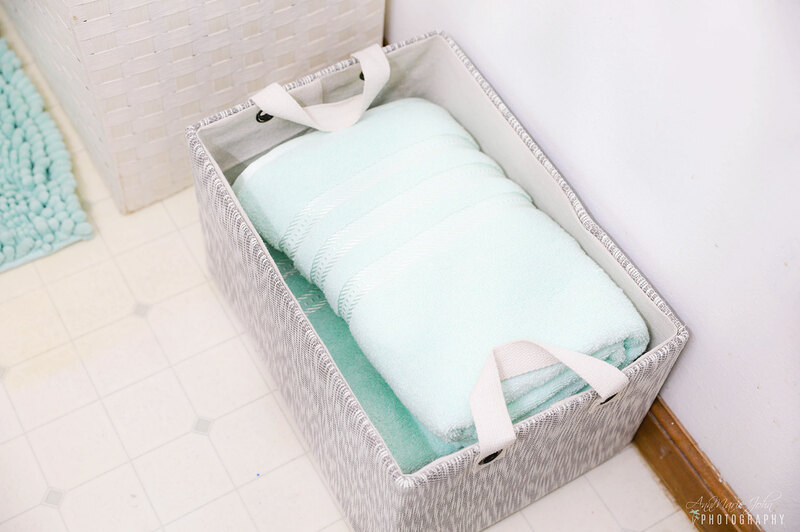 Having a hamper on hand will provide your guests with a place to deposit their wet/damp towels after their shower, and it doesn't have to be anything fancy, even a popup hamper would do. There's nothing worse than leaving the bathroom with trash in your hands because you couldn't find the trash can. Position the trash can within easy visible access so that your guests can dispose of their trash effortlessly. You can also line it with a trash bag to make clean-up a breeze. This includes bathroom towels and hand towels. Purchase a few luxurious towels and stow them in a place where your guests can locate them easily without having to hunt or inquire for them. Having at least two sets should be sufficient for a couple of days. Keep extra toilet paper on hand always! This way there will always be extra toilet paper when the one that's being used runs out. Running out of toilet paper unexpectedly while using the bathroom is a no-no. 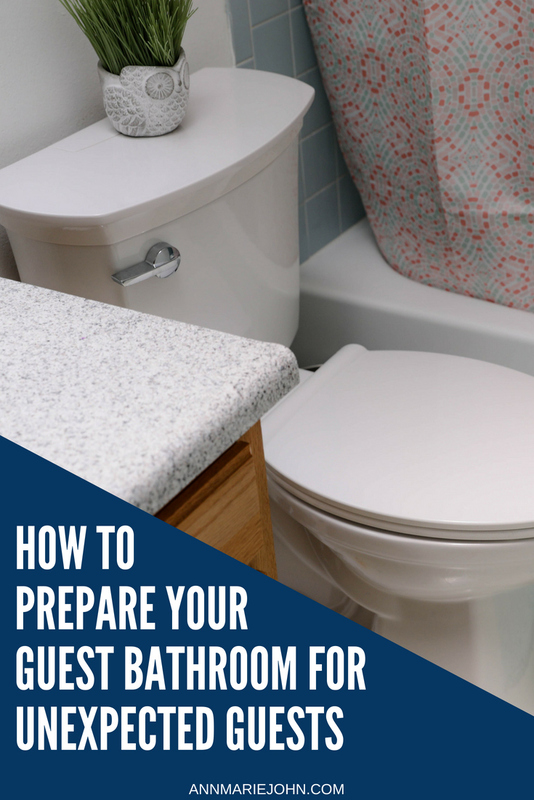 Not only do you want your guest to feel relaxed, but you don't want to put pressure on them knowing that they've left your bathroom with an odor. You can use a candle, plug-in or an aerosol air-freshener on hand so that your bathroom will always smell amazing. Worried that your toilet isn't the cleanest while guests are visiting? When you have kids in the house, that could very well be the case. How about a toilet that does the work for you? 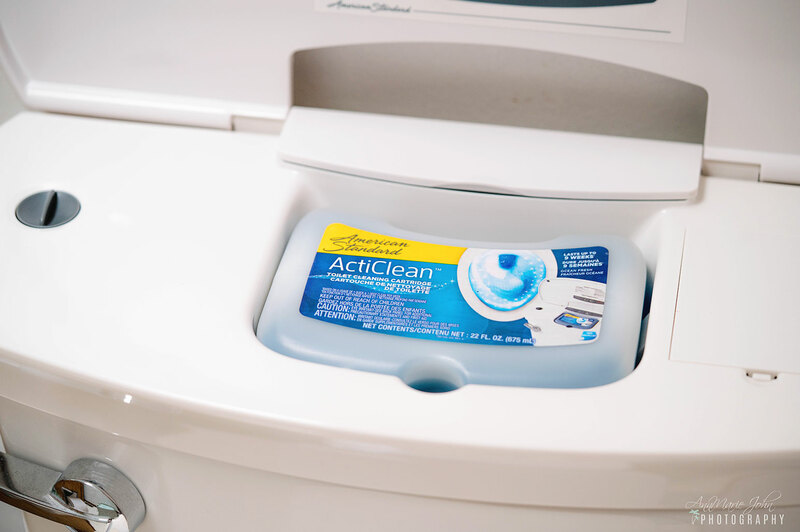 I was offered the opportunity to give the American Standard ActiClean Self Cleaning Toilet a try and boy oh boy, how did I ever live without it? The ActiClean Self Cleaning Toilet is easy to install, and American Standard actually has a video to help with the installation if you decide to do the work yourself, but since I wanted it done correctly the first time, a professional was hired. 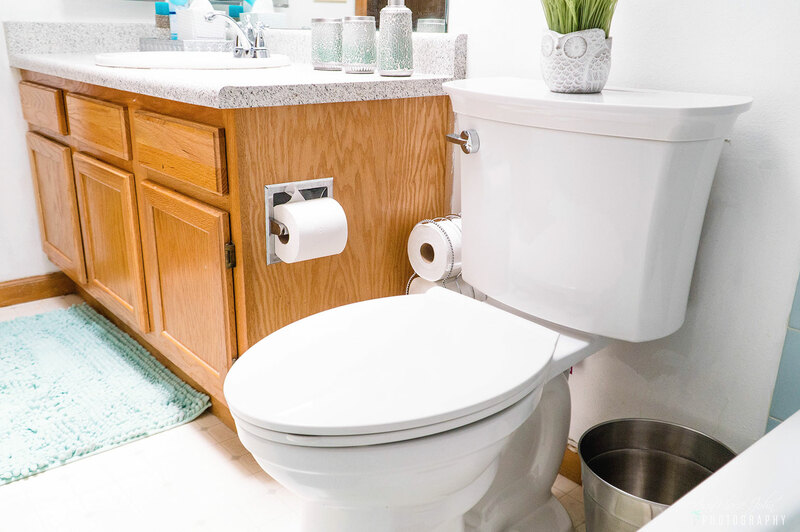 While the ActiClean Self Cleaning toilet has a myriad of features, there are a few that truly stands out. During the summer, there's a quota on how much water you can utilize monthly. Having a toilet that helps me conserve water and reduce my footprint is essential. This toilet uses just 1.28 gallons per flush!! With a simple press of a button, the entire seat is quickly removed for easy clean-up. Ever wondered how you can clean between those nooks and cranny? Worry no more. I personally hate seeing pee on, under, and between my toilet seat, so this is a lifesaver for me. Now the names surely spoke for itself, but are you wondering how it all works? It does it all with a simple press of a button and is powered by 4AA batteries which are included with your system. There's a Quick Clean and Deep Clean cycle handy for whichever cleaning you decide to utilize. 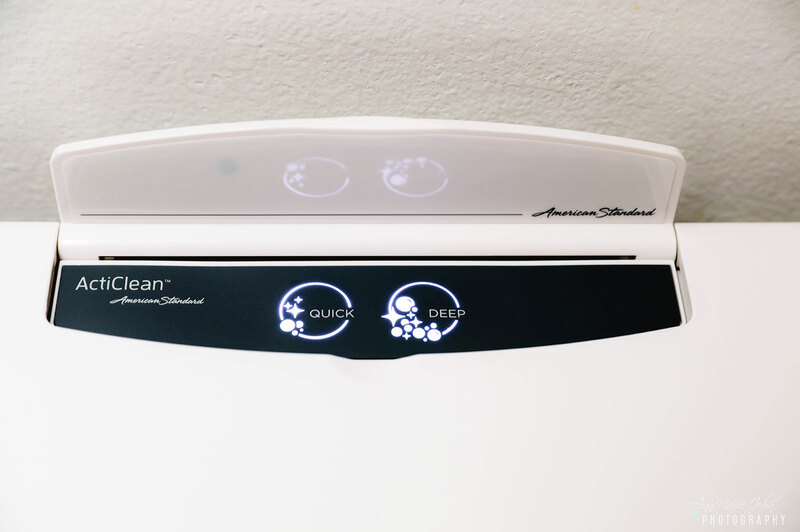 The Quick Clean Cycle is a one minute cycle and is best used for regular upkeep, in-between deep cleanings, while the Deep Clean Cycle completely and thoroughly cleans the inside of the toilet bowl in 10 minutes. The cleaning solution that cleans and removes stains is conveniently located on the tank under a flip lid and lasts up to 9 weeks*. You can purchase replacement cleaning cartridges, for $14.99. While I can describe the way this amazing toilet works, here's a video showing you in detail how it truly does the job. Now your guests will have an efficient bathroom, and you no longer have to worry about whether your toilet is clean or not. The American Standard ActiClean Self Cleaning Toilet is available at Lowe’s retailers nationwide.